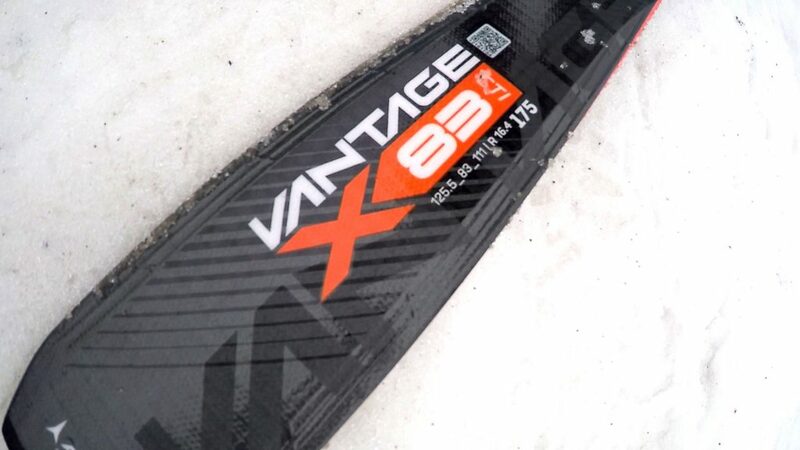 The Atomic Vantage X 83 CTI is the widest ski in the lightweight Vantage X series, offering the perfect blend of piste power and all-mountain agility. Successor to the popular Nomad Crimson Ti, this is a great system ski for all-mountain skiers who like to spend most of the time on piste and a bit off the side. To create that versatility we’ve taken our lighter, stronger Vantage construction, including Carbon Tank Mesh, and given it a sportier shape and thinner waist ideal for carving sharp turns on harder snow. It comes with our extra-full Firewall, Power Woodcore and Titanium Backbone 2.0 for solid edge grip. We’ve also added a ton of new tech like the Exo Profile – a radical 3D profile that cuts swing weight and adds rigidity. This top model comes with Warden 13 MNC DT system bindings. Atomic's new system binding for 2017 is the DT version of the Warden 13. This new generation binding accommodates all three types of ski boot soles. (DIN, Touring, and Walk To Ride WTR) and has the same over sized platform and proven toe piece as the Atomic Tracker. Features include a low-profile chassis, steel housing, tool-less adjustment, and snag-resistant Freeski Brakes which provide the assurance needed to send big drops and charge steep lines in the back country. Firewall: An extra full sidewall under the binding with flex grooves for awesome power transmission and edge grip on hard pack. Power Woodcore: A combination of hard ash and light poplar that's stable and sporty for Atomic's high-performance skis. 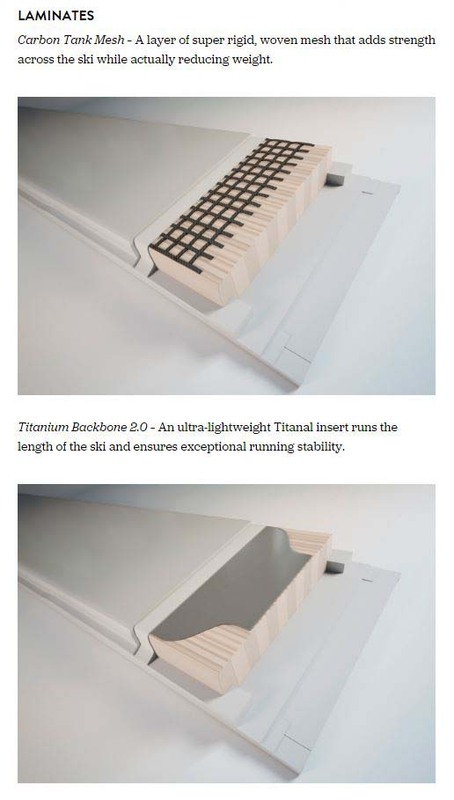 Titanium Backbone 2.0: A titanium insert runs the length of the ski on top of the core like a stabilizing backbone – really dynamic and stable for all-mountain skis. Exo Profile: A 3D profile that cuts swing weight and adds rigidity. Carbon Tank Mesh: A layer of super rigid woven mesh that adds strength across the ski while reducing weight. All Mountain Rocker: 10% Tip Rocker / 90% Camber. Tip rocker for great versatility and performance in all conditions. Warden 13 MNC DT Bindings: Track mounted bindings which are easy to mount and feature tool-less adjustment. Shoppers: Warden 13 DT Bindings are shipped in the in factory box. The Base/Track system is mounted by the manufacture so only assembly (no drilling) is needed to complete the installation of the bindings onto these skis.